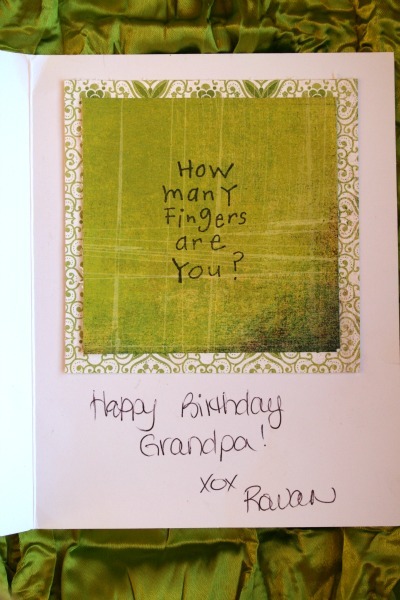 The last time I was at my parent's place, I actually remembered to photograph the card I made for my Dad's birthday. Which was in September. Ha! 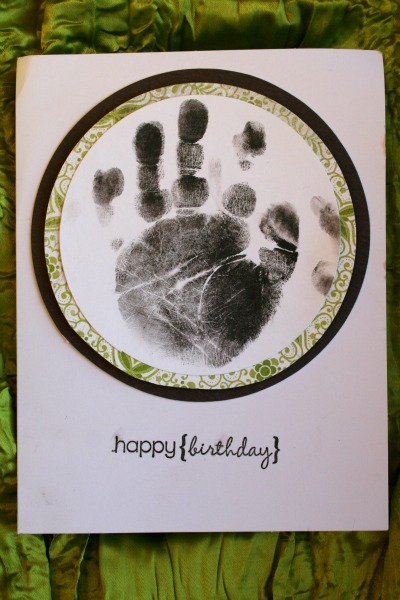 Nothing better than an inky (and slightly smudge-y) high-five from a grandson. But what do you expect from a fidgety 1 year old? Frankly, I think I was a little insane to ink up his hand! Initially I was thinking of incorporating the 'high five' into the message. But I couldn't come up with anything that wasn't complete lame-sauce. So I used one of the stamps from this set to make it more 'from Rowan'. Making it more adorable by default.